Interior design, how decorating with leather ? There is no place where the family spends more time than the family room. After being a part for most of the day there is no place a family would rather be than on their sofa. There is nothing more conducive to a cosy atmosphere than a comfortable sofa. Leather sofas in specific make for a beautiful focal point that doubles as the integral lounging furniture that allows anyone and everyone in a family to enjoy some much needed down time. Choosing the ideal leather sofa for your interior design tastes should be a well thought out process as there are many different aspects to consider. 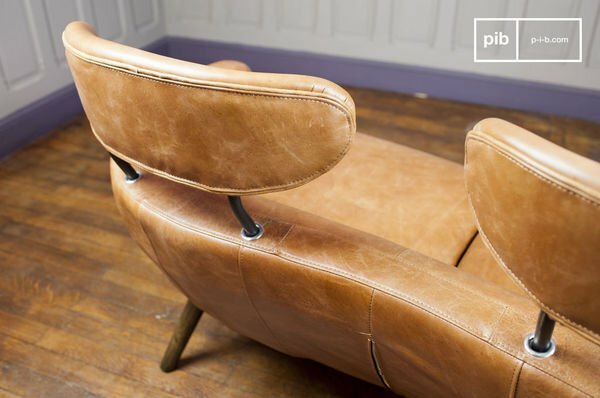 The evolution of the leather sofa has seen everything from the shapes, colours and finishes change since its inception in the 1920s. 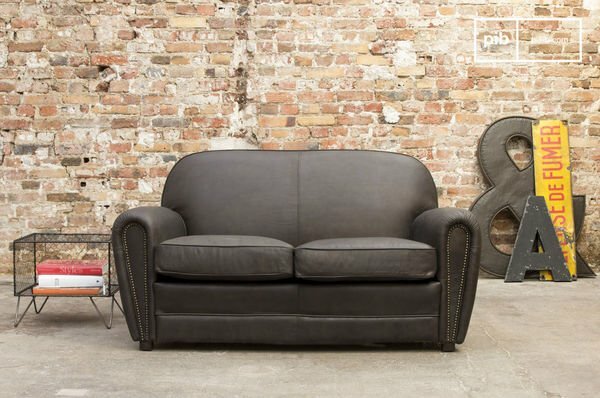 The differences in styles varying from the classic leather cigar club sofa to the original chesterfield have been constructed in many different design styles including industrial, Scandinavian and shabby chic. This has been a testament to their versatility and an essential reason to their continued relevance and success in the design world. 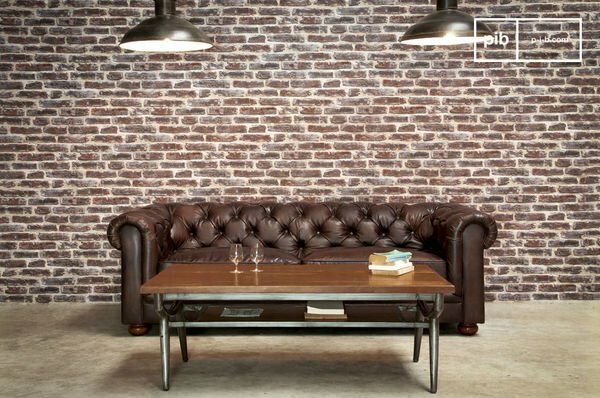 Structurally speaking, leather sofas are usually made with wood that is meant to be durable to ensure a long lasting product. Beech wood for instance, is a sort of highly durable and resistant wood that is commonly used, and is meant to last well into the future. The insides of sofas in recent times have been made of high density foams because of its unmatched level of comfort and durability, which guarantees a comfortable surface for many years to come. However feathered cushions and sofas are still widely popular and have created in image of superior quality and comfort that people strive for. Unlike leather seats found within a car, that are highly susceptible to warm or cold temperatures, leather upholstery found within a climate controlled house manage to adapt well to the different seasons. For instance during the summer leather tends to stay at relatively cool temperature because of its ability to breath being that it is a natural material. During the winter leather tends to have the opposite effect and gives off the warm to the touch feel that everyone is in search of during the colder winter season. Purchasing a leather sofa may hit you a little harder in your pockets at first, but there is no doubt that you may be purchasing a sofa that could last a lifetime. Unlike fabrics, leather wears in, meaning after years of use the leather tends to grow into itself and create a new type of vintage charm. Leather is a highly adaptable material that can be manipulated with dies and acid washes that can alter the colour of the original tone. Traditionally most leather sofas have been adorned with different shades of brown or black leathers in order to maintain some hint of the original colour. These commonly use colours are in no doubt the most popular due to the elements of class and elegance that exuberates from their earthy tones. Brighter colours have also come into popularity amongst designers constructing leather sofas. Gone are the days of not being able to find anything else other than shades that fall in between the spectrum of brown and black. Muted pigments such as softened blues and yellows can work as a great accent for any living room sofa. However there are some colours to avoid, especially if you?re the type to change interior often. Warm colours such as red should be avoided when upholstering large pieces as they may draw to much attention in a room and may pose a challenge décor wise when planning what to place around your sofa. Another aspect that should be kept in mind when making your purchasing decision, is to make sure to avoid any leathers that give off too much a shiny effect. This unfortunate, but very often the case, reality tends to take away from the elegance of the sofa and could end up a very evident commonplace mistake that many people make when choosing their ideal leather sofa. 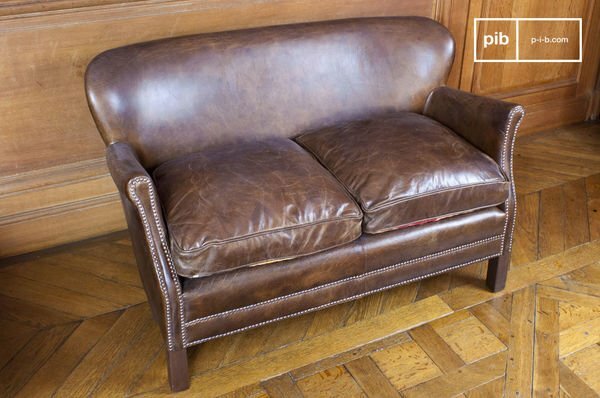 Originally leather sofas were accustomed to the setting of private French and British clubs, as well as that of private luxury homes. 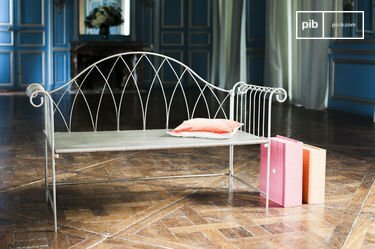 Their charming and striking appearance has since become a staple in living rooms across the world. 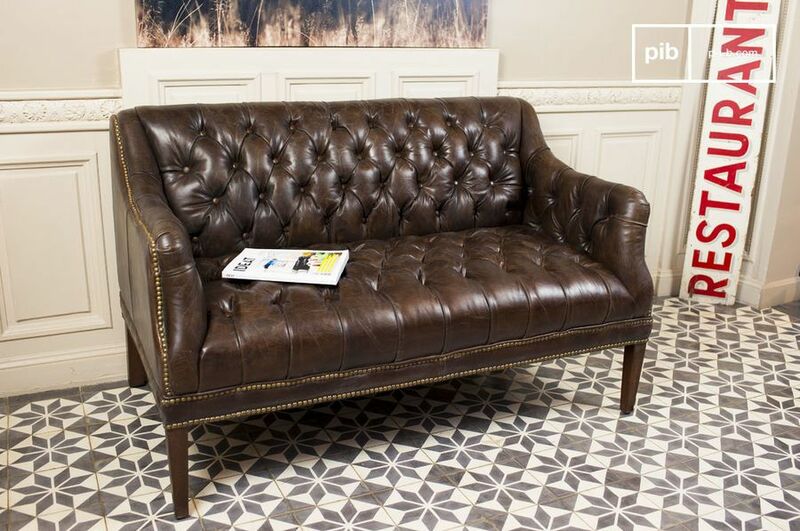 For many, the commanding nature of a distressed leather sofa is what attracts the eye. The vintage charm of an aged leather skin has become one of the many important factors behind the purchase of a leather sofa. 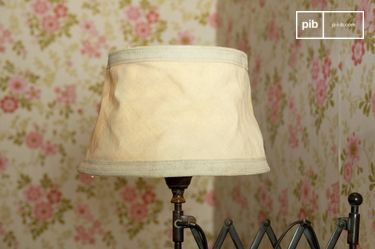 Wasting your time and effort searching in antique furniture boutiques and other second hand stores for the perfectly distressed leather is no longer necessary, as manufacturers have mastered the technique of distressing the leather coating in order to give it the vintage look that people are in search of. However some people see the time spent in antique boutiques as a pass time or hobby that eventually results in the joyous embrace of their new yet old vintage sofa. 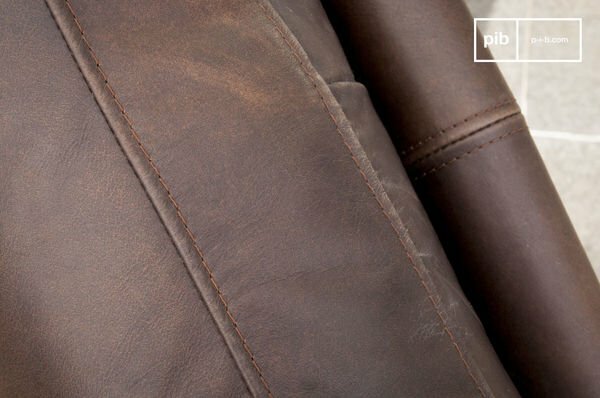 Any myth or fear that claims leather does not last should be quelled with a bit of research. The fact is that leather is a natural material that changes in colour and detail with age. The patina that grows with the leather contributes to this change in colour. Experts in the field spend years ?patinating? items just to get the desired effect they intended years before. How is this happening? Well leather is a porous material, and as the aging process continues the leather itself begins to oxidize and absorb the elements around it such as oils, dirt, sunlight and water which all contribute the patina effect. This all adds to the distressed effect that so many look for when deciding which leather sofa to purchase. But keep in mind that this planned aging technique takes years and comes with varied results, getting the vintage appeal your heart desires will take some effort, but a well-deserved effort at that. 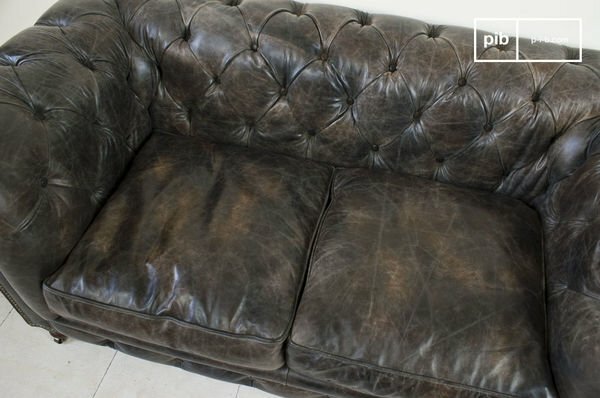 Although the vintage look of a distressed leather sofa is very appealing, one must remember that sofas do not take care of themselves. Nourishing creams and solutions should be applied to the leather in order to allow the character of the leather to shine through. 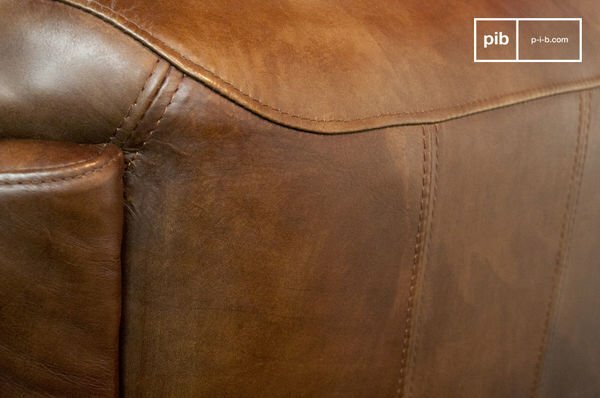 These solutions also help conserve the smoothness of the leather that may keep your guests longer than you would hope for. Choosing a quality solution is just as important as putting in the elbow grease, anything that is anomia or bleach based should be avoided at all costs, as harsh cleaners can ruin your much loved sofa with ease. Ideally manufacturers should include information on how to keep your sofa looking brand new, or in some cases how to maintain the same distressed look that enticed you in the first place. Generally the leather should be treated every 6-12 months. Children and animals may be your worst fear when deciding on whether or not to purchase a leather sofa, however what should cause more worry is the exposure to sun and humidity which could fade out the colour of the leather at too early of a stage and create a build-up of mold. Although scratching may be a problem with unruly cats, in most situations leather is fairly easy to treat and most spills wipe off, as leather is nowhere near as permeable as fabrics. The usual large tufts and pinned leather that are so often seen in classical leather sofas such as the chesterfield and the cigar club sofa are still the object of fanfare in the design world. 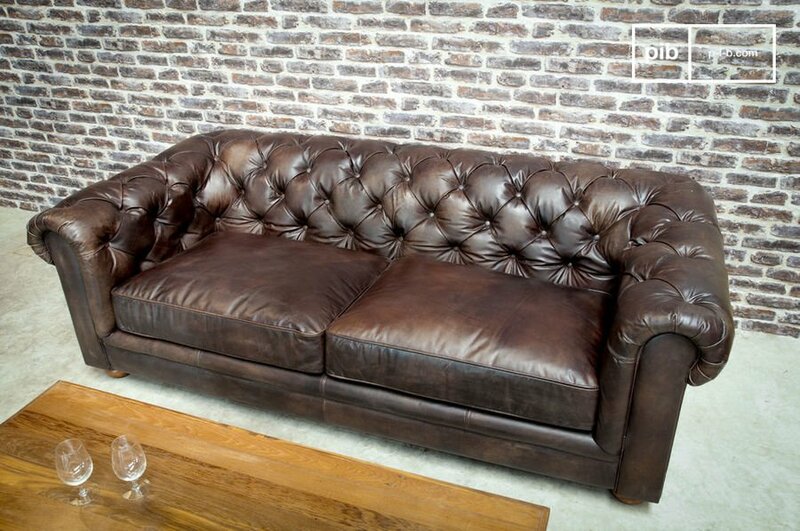 However modern leather sofas have emerged as an equally popular option in the category. 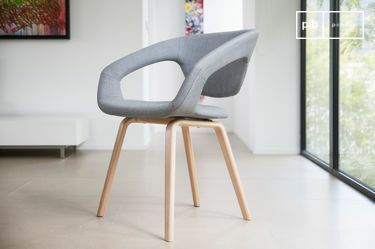 New designs drawing influence from modern, industrial and Scandinavian design have flooded the market and have in effect introduced a wide range of new shapes and forms for designers to choose from. Many contemporary leather sofas tend to avoid the rounded shape that we are so accustomed to and tend to use boxier shapes and straight lines which makes for a huge contrast to classically styled sofas. Leather sofas come in a wide-ranging array of sizes that have been made to adapt to everyone?s decor needs. Leather sectionals and L shaped sectionals have become common practice among manufacturers and artisans that have been creating custom pieces for their customers. Other features that have been introduced to the classic leather sofa range include; everything from the use of metal bars to suspend headrests, to reclining options that allow individual seats in the sofa to recline on their own. Feet oddly enough are a design feature that many people tend to look at even if all the attention is being drawn to the leather itself. The use of wooden buns or squared feet have become commonly used to suspend the couch and keep it off the floor. 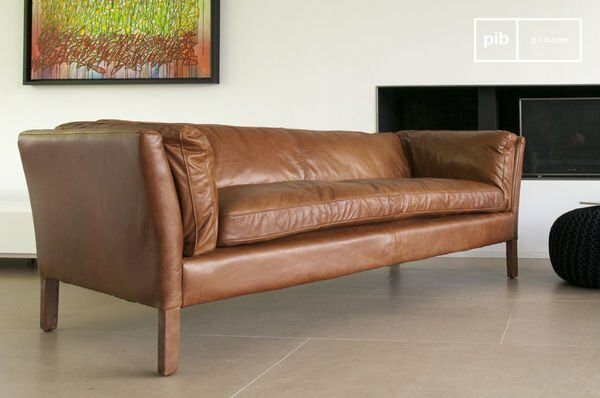 Traditionally leather sofas have maintained a low profile that avoids creating a visual barrier within a room, however more contemporary designs have included peg like feet that elevate the sofa further off the floor. Decorating your living room around a leather sofa is no easy task, just as any other design project much thought should be put into it before you go to execute and purchase the pieces used to create a fluid ambiance within a room. Without a doubt everyone has their own unique taste and style that dominates the décor in their home, but there are a few tips that one should consider before making a considerable investment. For starters make sure to have some contrast between the couch and the colour of the walls. Matching a dark leather chesterfield with dark coloured walls could result in a dungy atmosphere lacking balance that will not give off the inviting air living rooms should be emanating. In contrast the use of muted or softer colours in combination with dark leather of a chesterfield or freudian sofa would help strike a balance and help create an inviting atmosphere. For instance the use of soft blues, greens, bieges and even very light purples could compliment the use of a dark leather within your living room décor. Using a range of materials and patterns may add a playful aspect to your décor that could help avoid the common occurrence of having a room come across as to masculine or feminine. Placing something such as a patterned rug underneath a coffee table composed of metal and wood could prove to be the much needed creative accent needed in a room dominated by a leather sofa. Other seating arrangements in the room could be upholstered with different fabrics to help create a sense of distinction from the sofa as well, for example a French styled set comprising of a love seat and armchair covered in linen could also add the difference in styles, materials and colours needed to strike a balance. Another important aspect to consider is the accessorizing element of your design plans. 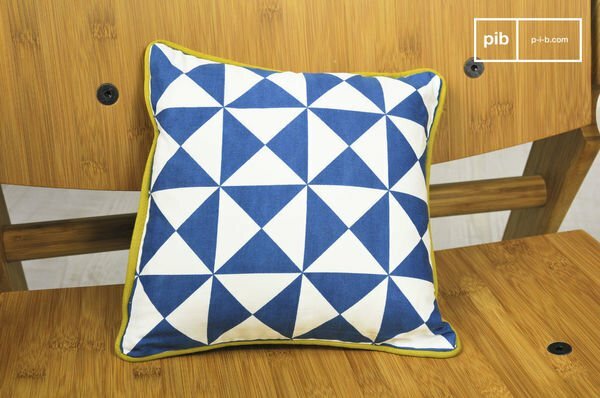 Using brightly coloured throw pillows could further compliment the use of a dark leather by adding an even cosier feel to your sofa and living room. For the more modern settings and sofas with boxy contours and straight lines, the use of rounded shapes could help break the design norm found within a room. Briefly put there is nothing more important than striking a balance, there is nothing that could be stressed more within this article. Regardless of the design style used within a room, a leather sofa could either help create the inviting ambiance people expect from a room they spend most of their time in, or render it somewhat cliché, by adding such a commanding force within a room without adequately planning around it.